LOUDON, TN--(Marketwired - August 16, 2016) - Malibu Boats (NASDAQ: MBUU), the global leader in watersports towboat sales, has introduced the brand new 22 MXZ and 24 MXZ Wakesetter models for 2017 that maximize style, wakes and family time. Both boats debut completely new hulls that create larger wakes, combined with Malibu's Integrated Surf Platform (ISP) technology that can easily transition into infinitely surfable waves. 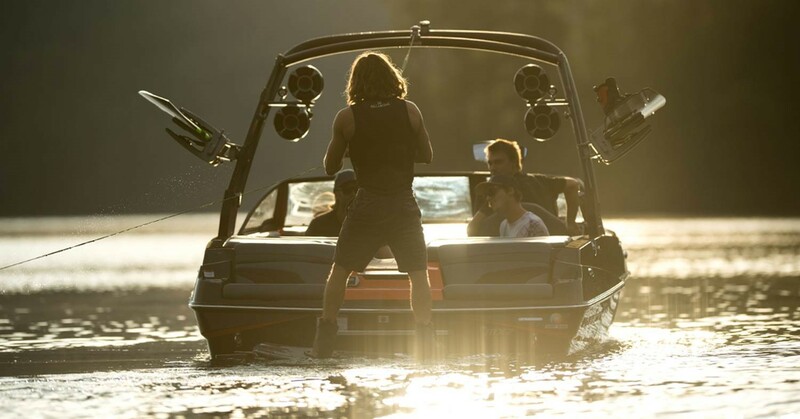 The classic Malibu Wakesetter look is bolder than ever, and functional, too, with plenty of luxury and seating for 15 in the 22 MXZ and up to 18 for the 24 MXZ. 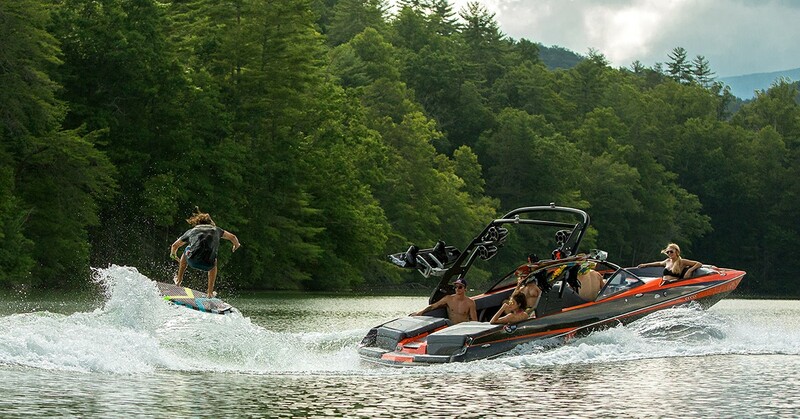 To maximize time on the water, Malibu increased fuel capacity by 10 percent in the 24 MXZ. "When we introduced the 22 MXZ in the 2012 model year and the 24 MXZ shortly after that, the MXZ series took the market by storm. Now the new 22 MXZ and 24 MXZ have the innovations and performance characteristics that Malibu has developed over the last four years, making them even more versatile, better performing and feature laden," said Malibu CEO Jack Springer. 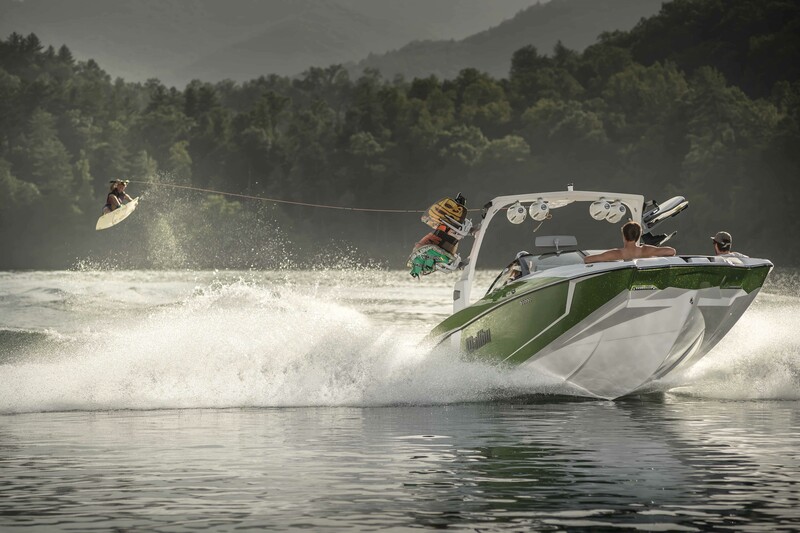 "The new 22 MXZ and 24 MXZ are at the top of the best wakeboarding and wakesurfing boats on the market today and with Malibu's iconic performance and handling, truly maximize your entire boating experience." In both the 22 MXZ and 24 MXZ, four passengers can relax in the bow and features more walk around room on the boat, as well. The walk-through transom maximizes comfort preferences for everyone in the family. In both MXZ models, the gray anodized billet details seen throughout the boat exemplify Malibu's renowned craftsmanship. Exclusive to the 24 MXZ, standard foldout wake-view seating provides the best view of rider action. Wake-view seating is an optional upgrade for the 22 MXZ. New options to enhance versatility, convenience and fun for both MXZ models include powerful new Wet Sounds speakers, Malibu's trend setting backup camera and our new ISP steering wheel controls. You can add a secondary heater, Deckadence carpeting or soft-grip flooring to maximize family comfort and enjoyment. To maximize wakes, Malibu increased maximum ballast by nearly 550 pounds in the MXZ 22 and by more than 900 pounds in the MXZ 24, optimizing distribution for both wakeboarding and surfing. The ISP's Quad Hard Tank Ballast system features the all-new MAXballast L-shaped rear tanks exclusive to Malibu's MXZ line. The system actively measures not only the hard tank, but also the optional Plug and Play ballast so you know when your rear ballast setup is truly full. With the added ballast, the ISP's hydraulic Power Wedge II hydrofoil makes an even bigger impact for wake and wave creation. Malibu tailored the ISP's hydraulic Surf Gate to the new hull design. Both the 22 MXZ and 24 MXZ can now create bigger, barreling surf waves, but still offer the industry-leading capability for customizing wave shape, size and speed that caters to all skill levels from beginner to pro. The renowned Malibu Command Center with Viper 2 digital dash lets the driver dial in the perfect wake or wave for any rider. Like all Malibu models, the 22 MXZ and 24 MXZ also offer the Malibu Surf Band wrist remote that lets the rider control the wake or wave right from the board. The 24 MXZ comes standard with a 450 pound-foot Monsoon engine, which is an upgrade option for the 22 MXZ. Both models can be equipped with a supercharged version that unleashes 575 foot-pounds of torque. The 2017 Malibu MXZ models come backed by the industry's best warranty, including lifetime hull coverage, and are available now from all authorized Malibu dealers.